accounts for some 30% of their total production cost. produced, which diminishes their income by 10%. access cheaper and reliable water. 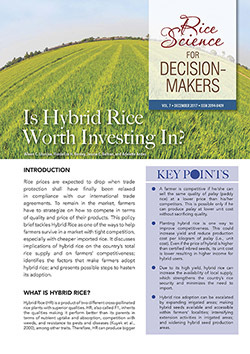 Is Hybrid Rice Worth Investing In? 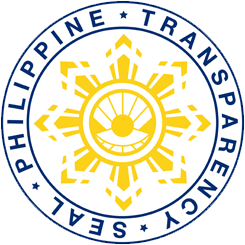 The Philippines (PH) currently adopts tariff and quantitative restriction (QR) as trade protection for rice. 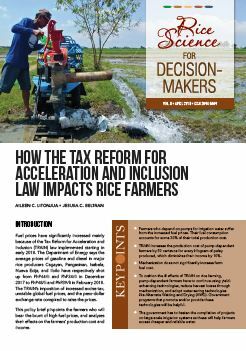 Tariffs are taxes imposed on traded products; QRs limit the volume of imported rice allowed into the country. 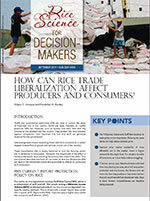 Trade protection regulates the influx of cheaper imported rice in the local market, and shields local farmers and traders from superior competition. 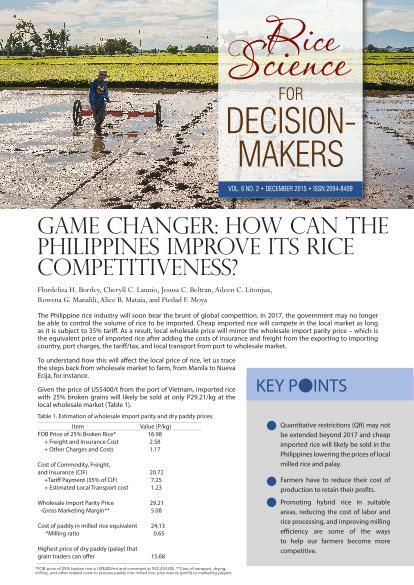 If government would remove QR, local rice prices would drop (Litonjua and Bordey, 2014; Bordey et al., 2016) in favor of consumers but to the detriment of farmers. country, port charges, the tariff/tax, and local transport from port to wholesale market. 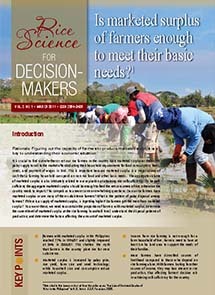 Zero rice importation or self-sufficiency has always been the elusive goal of Philippine agriculture policies regardless of political dispensation. Any inferior goal is unpatriotic and criticized as a failure of the government and the nation as a whole. Figure 1 shows the historical net rice imports of the Philippines. Tariffs and quantitative restrictions (QR) are used to control the entry of imported rice in the country. Tariffs are taxes imposed on traded products; QRs are measures such as quotas and bans that limit the volume of rice allowed into the country. Organic fertilizer is made of animal or plant biomass that has completely decomposed until the original material has become soil-like in texture. Biofertilizers, or microbial fertilizers, compost activators, inoculums are commonly classified as organic fertilizers, but they are either soil conditioners or growth enhancers. in a year. 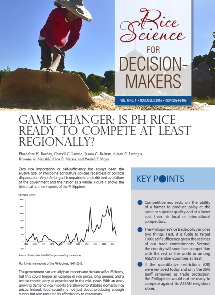 This is a critical variable used in estimating the rice requirement of the country. Therefore, this has an impact on setting the import requirement of the country. 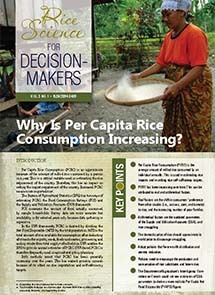 Increased PCRC means more imported rice1. 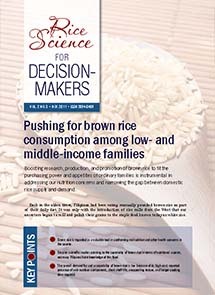 Boosting research, production, and promotion of brown rice to fit the purchasing power and appetites of ordinary families is instrumental in addressing our nutrition concerns and narrowing the gap between domestic rice supply and demand. 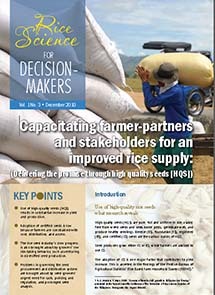 The country aims at rice self-sufficiency by 2013. 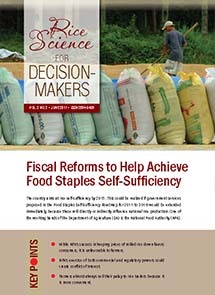 This could be realized if government services proposed in the Food Staples Self-Sufficiency Roadmap for 2011 to 2016 would be extended immediately, because these will directly or indirectly influence national rice production. 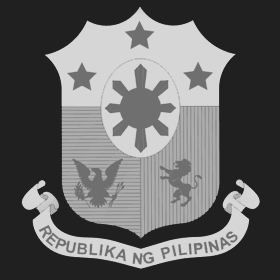 One of the working hands of the Department of Agriculture (DA) is the National Food Authority (NFA). High-quality seeds (HQS) are pure, full and uniform in size, viable, free from weed seeds and seed-borne pests, germinate well, and produce healthy seedlings. 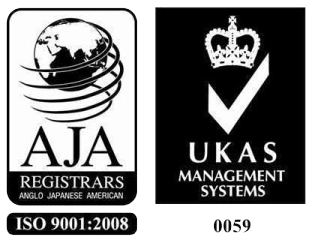 Breeder (BS), foundation (FS), registered (RS), and certified (CS) seeds are the various classes of HQS. 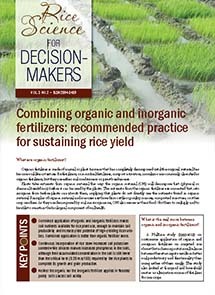 Biofertilizers are being recommended in farming owing to the producers’ claim that these fertilizers yield quality product without harming one’s health and the environment. 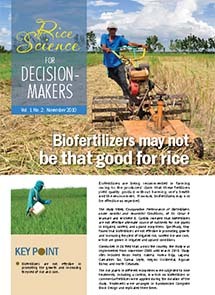 However, biofertilizers may not be effective as expected. 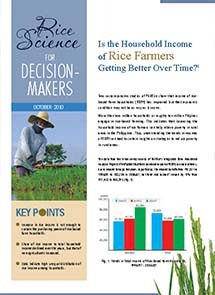 Two socio-economic studies of PhilRice show that income of ricebased farm households (RBFH) has improved but their economic condition may not be as rosy as it seems. 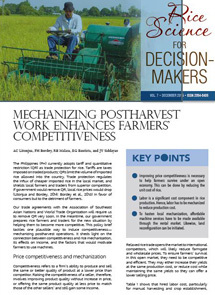 For more information materials, click here.